"Your master must be some great lord, surely." The life of a poor child in a peasant village features days filled with skipping rocks, singing to oneself and generally passing the time. There's not really an awareness or sense of anything greater and just being able to survive is a gift. In The Highest House #1 from IDW Publishing, some of those children find out there's a bit more to life. The issue is written by Mike Carey, illustrated and lettered by Peter Gross and colored by Fabien Alquier. For most of The Highest Castle #1, Carey seems content with focusing on a seemingly important traveler buying slaves at a sleep town. That premise alone could definitely take the book a multitude of directions, but Carey is focused primarily on one slave, Moth, and the man who seems to see something in him that others don't. There's very much a Little Nemo feel throughout the book, in that Carey is writing a story that features a somewhat aloof character being thrust into a new setting that requires him to forget the things that maintained his innocence. From there, Carey focuses the script on Obsidian explaining to Moth the way things are in life and how what seems to be magic really isn't magic, subjects that seem to be at odds with how Moth is accustomed to seeing the world. Carey doesn't really give the reader much insight into what exactly makes either character special; rather, there seems to be some connection between the two that will be amplified by their collective presence in the Highest House. Gross infuses the book with a medieval sensibility through his illustrations of a bucolic inn, rustic countryside and the Highest House which also seems to double as a castle and village. The characters are illustrated in a way where they're clearly human, but Gross uses slight tweaks for their appearances that make them seem a little cartoonish. Where his style is really noticeable is in the panel arrangements as Gross packs just about every page with a dizzying number of panels stacked tightly against one another. Some of the pages can be slightly overwhelming visually as a result, with Gross ensuring that every character is accounted for and the entire realm feels densely populated. Alquier's colors are pale in a way that adds a sense of history to the work. The Highest House #1 seems to hint at a mystery in the location of the same name. Moth has been ripped from a mundane and predictable life and thrust into a new situation where Obsidian is a mystery and those around him are somewhat ruthless. Carey pours a lot of expository into the script, offering a lot of information to the reader as they follow along with Moth's journey. Gross' illustrations are simple yet effective in conveying the sense of kingdoms and kings with a tinge of magic to them. 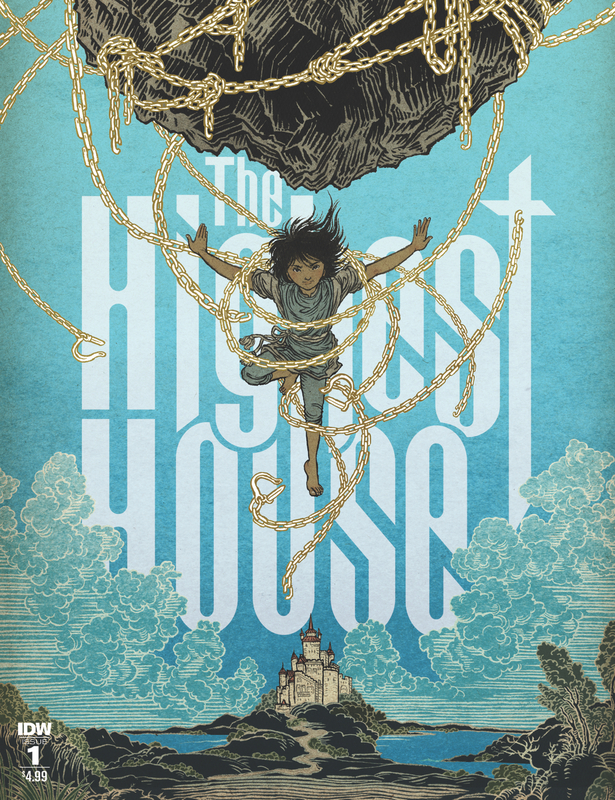 The Highest House #1 is a dense first issue that gets the reader started on what's expected to be a fantastic voyage rife with magic, labor and intrigue. 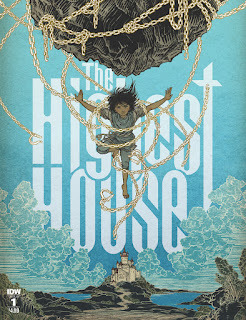 The Highest House #1 is available now.